Can't wait for this year's D.C. Restaurant Week? Here's a little pre-game:National Harbor Restaurant Week is coming up this Saturday, running from Jan. 14 to Jan. 20. Twelve of National Harbor's 30+ dining spots will be participating in the event, offering $20 two-course lunches and $38 three-course dinners. Participating restaurants include Bond 45, Rosa Mexicano and Sauciety at The Westin. 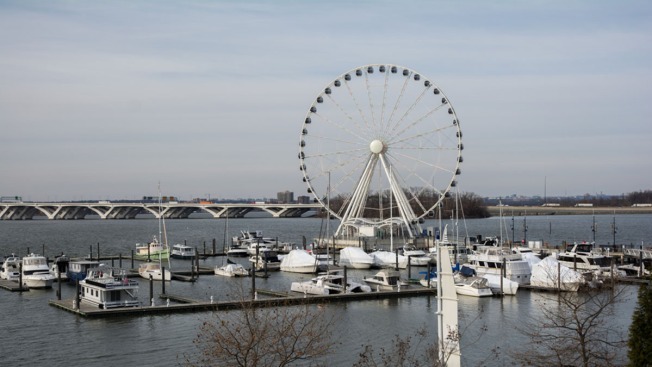 You can also make a mini-trip out of your time at National Harbor: Bring your receipt to the Capital Wheel to get two tickets for $22 or four tickets for $44, or show a receipt at Bobby McKey's for free general admission. Created in 2010, National Harbor Restaurant Week features many restaurants located along the waterfront. You can make lunch or dinner reservations online here.